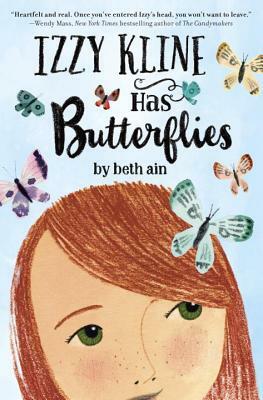 So many moments -- big and small -- make up a year, and Beth Ain chronicles them all in this heartwarming novel in verse, perfect for fans of Fish in a Tree and verse novels like Brown Girl Dreaming and The Crossover. It's a new school year, and Izzy Kline is having some feelings. There are plenty of reasons for the butterflies in her stomach to flap their wings. There's a new girl in her class who might be a new best friend. The whole grade is performing Free to Be . . . You and Me -- and Izzy really wants a starring role. And new changes at home are making Izzy feel like her family is falling apart. First-day jitters, new friends, an audition . . . How many butterfly problems can one kid take?